Do you find yourself thinking that the books you read would be good on film? Do you wish the things you watched on TV or in the movies were available as books? Usually, my first instinct when I hear that a book I love is being turned into a television show or a movie, is to flinch and expect the worst. On one hand, I’m intrigued by being able to see some of the imaginative worlds and stories brought to life. At best, it’s a chance to wallow in the lovely setting of a book that immersed me in its world. But, going to the movies, spurred by love of a story, has let me down so many times I feel jaded and dubious when I hear about a book I love being translated to the screen. And then there are the ways the story gets butchered and collapsed. Changing or forcing a romance or a happy ending? Trimming the story to shift the emphasis, and, say, make an Orwellian comment? Original book cover of The Secret Life of Bees, so pretty! 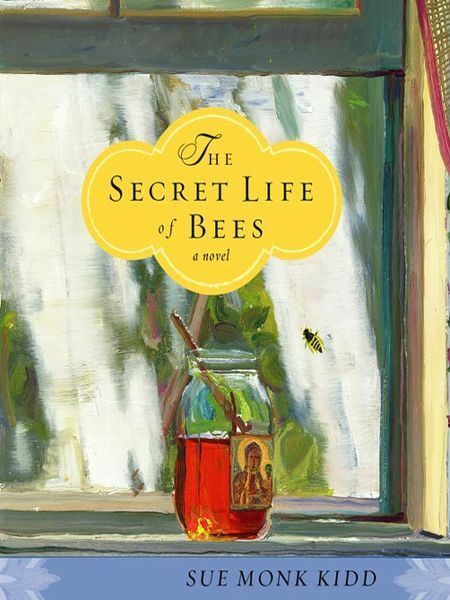 Movie poster cover for The Secret Life of Bees looks generic and too-sweet! Also, I really, really, really hate when books get “Now a Major Motion Picture!” covers with the movie posters and the actors who play characters. It becomes difficult to remember what I thought the characters looked like, before I saw the film and the actors. Sometimes, it works. I liked most of the Harry Potter films as much as I liked their respective books. And I was entirely satisfied to experience The Lord of the Rings in cinematic form. Also, as much as I am dubious of books translating well to the screen, I’m holding out hope for a few of my favorites. I hear American Gods is going to be a miniseries. Ever since I read it, I’ve been daydreaming of a film with the sepia-toned Americana aesthetic of O Brother, Where Art Thou. And a soundtrack by Ry Cooder and T-Bone Burnett. When I found out The Night Circus was going to be a movie, I was exceedingly dubious. I’m hoping it will look something like Sleep No More, but I’m not holding my breath. The good news for American Gods is that it’s being pitched as a series to HBO. Given how well they’ve adapted Game of Thrones and the fact that being on HBO means they will have a higher than usual budget, I have high hopes. Of course, if they can’t translate the story well, no amount of special effects and pretty images will make up for it. As for The Night Circus, I read it and I am not sure it lends itself well to a film or not.